Will Paris Have a ‘Tiny’ Effect on Warming? President Donald Trump and his top environmental official said the Paris Agreement would reduce the global average temperature by only 0.2 degrees Celsius. 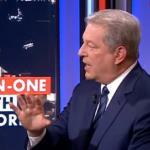 Former Vice President Al Gore said that’s “not true.” Who’s right? Trump and Scott Pruitt, the head of the Environmental Protection Agency, are correct that one report did estimate a 0.2 C reduction. But the report’s author said the Trump administration “cherry-picked” that figure. Other studies have shown greater reductions. Estimates differ because researchers make different assumptions at the onset of their calculations, such as whether countries will make more ambitious pledges to reduce carbon emissions in the future. Trump made his claim about the agreement’s effect on global warming during a June 1 speech announcing that the U.S. would “withdraw” from the international deal. The agreement, which went into effect Nov. 4, 2016, primarily aims to keep warming “well below 2°C above pre-industrial levels” and to pursue “efforts to limit the temperature increase to 1.5°C.” The planet has warmed nearly 1 C already, according to NASA. Trump, June 1: Even if the Paris Agreement were implemented in full, with total compliance from all nations, it is estimated it would only produce a two-tenths of one degree — think of that; this much — Celsius reduction in global temperature by the year 2100. Tiny, tiny amount. Gore, who shared the 2007 Nobel Peace Prize for increasing public knowledge about climate change, was asked on CNN’s “State of the Union” on June 4 about the statements made by Trump and Pruitt. “Well, first of all, it’s not true,” Gore said, adding that the Paris Agreement “gives tremendous momentum” to reducing global warming. 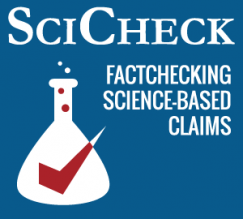 We reached out to spokespeople for Gore, Trump and Pruitt for support for their claims. Gore’s office didn’t respond. The White House also didn’t respond, but in a video posted to Facebook on June 1, it cites research out of the Massachusetts Institute of Technology to support the claim that “if every member nation met all of their commitments [under the Paris Agreement] through this century, the impact on the climate would be negligible.” EPA spokesperson Liz Bowman also pointed us to the 2015 MIT report. Under the Paris Agreement, countries submit pledges that outline their emissions targets and other aims related to mitigating and adapting to climate change. Countries must submit new pledges every five years. These pledges should grow more ambitious over time, the agreement stipulates, although the targets are voluntary and there are no penalties for failing to meet them. The MIT report looked at the effect that the majority of the first set of pledges would have on warming by 2100. In their report, the MIT researchers assumed countries wouldn’t make additional, more ambitious pledges. “Assuming the proposed cuts [under the Paris Agreement] are extended through 2100 but not deepened further, they result in about 0.2°C less warming by the end of the century,” the report said. To come up with that estimate, the researchers compared the bulk of the Paris pledges’ impact on warming with the impact of emissions targets set under climate agreements made in Copenhagen in 2009 and Cancun in 2010. As we’ll explain below, other studies that found larger reductions compared the Paris pledges with other baselines, such as climate policies in place since 2005. The 0.2 C estimate also doesn’t take into consideration the full potential effect of the Paris Agreement alone. In calculating the 0.2 C figure, Reilly and his colleagues “assumed no further strengthening of national commitments in years after 2030,” which is another “critically important” distinction, he says. Bowman at the EPA also cited a 2015 paper by Bjorn Lomborg, the president of the Copenhagen Consensus Center in Denmark. Lomborg authored the 2001 book “The Skeptical Environmentalist,” in which he writes that global warming is “taking place,” but that cutting back fossil fuels will create greater problems for the world than global warming. Other scientists have criticized Lomborg’s book. Published in the journal Global Policy in November 2015, Lomborg’s study compared warming under a business-as-usual scenario to warming with the Paris pledges. He concluded that the difference is about 0.17 C in 2100. Unlike the MIT report and Lomborg’s paper, other studies that found greater reductions did assume countries would make more ambitious pledges in the future, as the agreement specifies. So what is the “relevant number,” as Reilly put it? The MIT researcher points to one analysis by the climate modeling nonprofit Climate Interactive that found that national contributions made by UNFCCC parties to date, which include the Paris Agreement pledges, would result in roughly 3.3 C of warming above pre-industrial levels by 2100. That’s compared with 4.2 C of warming for business as usual, a 0.9 C difference. Carl-Friedrich Schleussner, a climate physicist at Climate Analytics, a nonprofit climate science and policy institute in Germany, also put the 0.2 C figure into context for us. He said it’s subjective whether or not something is “tiny.” Still, “A few systems are particularly sensitive to also small warming increments,” Schleussner told us by email. These systems include tropical coral reef bleaching, “for which every tenth of a degree matters,” and Arctic sea-ice melting, he added. Another analysis by Joeri Rogelj, an energy modeling and climate policy expert at the International Institute for Applied Systems Analysis in Austria, and others took a more nuanced approach to estimating the impact of the Paris Agreement on climate change. No new climate policies since 2005. All global climate commitments, excluding those under the Paris Agreement. All global climate commitments including those under the Paris Agreement, but excluding those with financial aid conditions. All global climate commitments including those under the Paris Agreement with or without financial aid conditions. The researchers also took into consideration three different probabilities for the four different scenarios. For example, they estimated there’s a 90 percent probability warming would be around 3.7 C under scenario four. They also estimated warming under this scenario would be limited to 2.7 C, but only with a 50 percent probability. The researchers note that UNFCCC policymakers have been satisfied with a 66 percent probability when discussing policies to keep warming below 2 C. Under this probability level, total warming ranges from 3 C for scenario four to 4.5 C for scenario one. But what about the reductions due to the Paris Agreement pledges specifically? When comparing the level of warming for all Paris Agreement pledges, regardless of financial aid conditions (scenario four), with all climate policies excluding the Paris Agreement (scenario two), the difference is 0.6 C, more than the MIT researchers’ estimate of 0.2 C.
Why did Rogelj’s study find a larger reduction? Unlike the MIT researchers, Rogelj and his group assumed pledges would continue to become progressively more ambitious over time because, “[s]talling climate action after 2030 would be in contradiction with the provisions of the Paris Agreement,” the researchers write. Still, in their review of the scientific literature, the researchers found that studies came to “a wide range of estimates of future emissions under nominally similar scenarios.” How much greenhouse gas emissions are put into the atmosphere directly relates to how much the planet will warm, so if researchers have different estimates of emissions, they will also have different estimates for warming. For example, countries didn’t submit their pledges under the Paris Agreement all in the same format. Some provided their emissions targets in an absolute format, such as a percentage reduction compared with some baseline. Other countries provided targets in terms of “emissions intensity,” which is a ratio of emissions to economic output. Some countries provided no specific emissions target at all and instead pledged to increase their share of renewable energy or cut their use of fossil fuels. Researchers have to translate all of these different quantities into an absolute emissions format in order to come up with an estimate for total warming. And they might not all make these conversions in the same way. Hence, they come to different estimates for warming. In short, the assumptions researchers make when calculating global average temperature reductions due to the Paris Agreement influence their final estimates. There are a range of estimates that make different assumptions, and 0.2 C is one of those estimates. Even if 0.2 C was the relevant figure, it’s not a negligible quantity when it comes to tropical coral reef bleaching or Arctic sea ice melting. Said “it’s not true” that the Paris Agreement if fully implemented would reduce the global average temperature by only 0.2 degrees Celsius.